Doubinsky & Osharova is one of the most respected Ukrainian IP boutiques that continue to sustain market recognition. The agency has a highly skilled team, whose professionalism is based both on deep knowledge of world practice and on its own experience. The main principle of work with clients in the Agency is building strong trust based on efficiency. Doubinsky & Osharova offers professional, operative and responsible servicing of clients in the intellectual property rights sphere in Ukraine and abroad. The Agency has the trust of big foreign corporate clients and international law firms, as evidenced by long-term fruitful cooperation. Doubinsky & Osharova has a strong team of IP professionals who are highly motivated and who grow professionally from year to year. Doubinsky & Osharova and its team members are members of a number of international and national associations, such as the International Trademark Association (INTA), International Association for the Protection of Intellectual Property (AIPPI); American Chamber of Commerce in Ukraine (ACC), Pharmaceutical Trademark Group (PTMG), Ukrainian Trademark Association (UTA), European Business Association (EBA), Ukrainian Bar Association (UBA), Ukrainian Association of Patent Attorneys, Ukrainian Association of Attorneys. The Legal 500, Chambers Europe, World Trademark Review, CorporateIntl, Legal Awards, Ukrainian Law Firms. 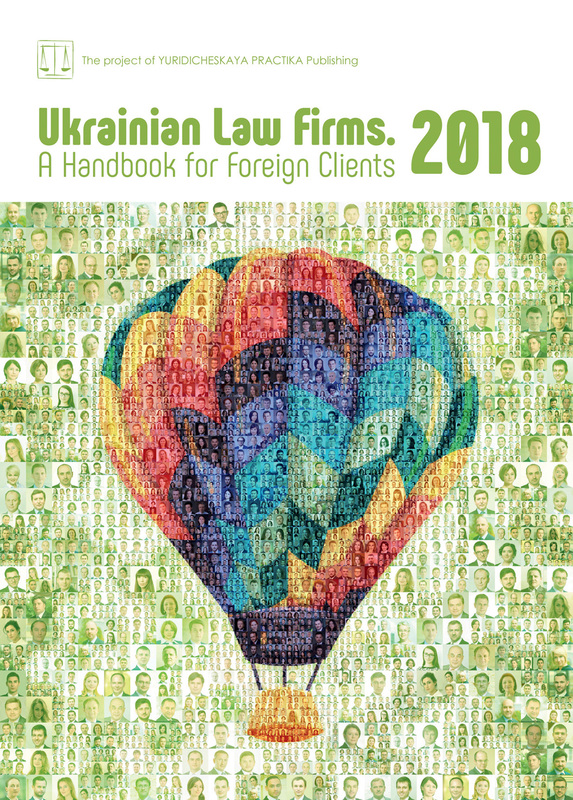 A Handbook for Foreign Clients, 50 Leading Law Firms of Ukraine. In 2016, a procedure of registration of pharmaceuticals previously registered by competent authorities of Australia, United States, Japan, Canada, Switzerland or EU was considerably simplified. Actually, not only the terms of carrying out of the procedure but also the applicants’ expenses related thereto were reduced. As a result, the attractiveness of Ukraine among foreign pharmaceutical companies has considerably grown. On the other hand, the ongoing conflict between original pharmaceuticals and generics escalates. And while in the past the main part of patent litigations was related to patent infringements (originators against generics), nowadays, in the light of rising slogans about the politic of pharmaceuticals price reduction and global trends against “Big Pharma”, the litigations for invalidation of patents protecting an active substance or a method of treatment are gaining momentum. Each of the mentioned categories of cases has its own peculiarities. The main purpose of the state registration of a pharmaceutical is a verification of the compliance thereof with efficacy, safety and quality conditions. The observance of the patent holders’ rights is not a priority of the regulatory authority, which relies on the applicants’ good faith and its declaration of non-infringement of any patent rights. Even a direct application of the patent holder concerning the infringement of its rights is not a ground for the regulatory authority to refuse state registration of the generic pharmaceutical. As a result, disputes are resolved in court. Until recently, there were a lot of discussions about jurisdiction of such patent litigations. Sometimes administrative courts consider the mentioned cases supposing that the claims against the Ministry of Healthcare of Ukraine are based on public law, sometimes refuse to consider such cases referring to the private nature of relationship of the parties. In our opinion, there is no reason for disagreements. In patent litigation proceedings, where claimants request to invalidate an order of the Ministry of Healthcare of Ukraine regarding the registration of some pharmaceutical, the claimants defend their intellectual property rights, so, the claims are based on private (civil) law and do not come within the jurisdiction of the administrative courts. Accordingly, such proceedings should be considered by courts of commercial jurisdiction. At the present moment, the litigations concerning the infringement of patents and invalidation of the registration of disputed pharmaceuticals are considered by the Kyiv Commercial Court at the location of the Ministry of Health of Ukraine whose participation in such disputes is obligatory. The same court is obliged now to consider the litigations for invalidation of patents for inventions. Since one of the defendants in the mentioned proceedings is the Ministry of Economic Development and Trade of Ukraine, the choice of court is limited to the location of the present executive authority. We hope that in the near future, after the commencement of work of the High Intellectual Property Court, both categories of cases will be referred thereto for consideration and the discussions concerning the jurisdiction will finally cease. Together with coming into effect of amendments to the codes of procedure, the patent litigations also acquire their own peculiarities. First of all, the patent holder may face practical difficulties to prepare the evidence at the stage of filing the claim. According to the Code of Commercial Procedure of Ukraine, the claimant is obliged to produce proofs of its position simultaneously with the claim. When it comes to the patent infringement, first of all, the claimant should prove that a substance protected by patent is used in the disputed generic. Such a proof may be, for example, a study of the pharmaceutical itself (if it is freely available for purchase). It may also be articles or studies directly indicating that the pharmaceutical is generic. But the main proof used in the patent litigations is an expert opinion, which ascertains whether all independent claims of invention are used in the generic. However, the carrying out of such examination at the pretrial stage is often complicated. The claimant is not able to provide the registration materials of the disputed pharmaceutical where the reference to an originator pharmaceutical can be indicated, as they are confidential and may be provided only at the court’s request. Therefore, in the absence of the above-stated materials, the mentioned expert study will be incomplete. In connection with this, the court examination may be assigned by a court ruling only after discovery of the registration dossier from the State Expert Center. The matter stands simpler with the proof in patent invalidation litigations. In this case, a party initiating the claim most likely already has the evidence disproving the patent. The claimant may also have recourse to the qualified expert to determine whether the disputed invention complies with all the criteria for granting legal protection, specifically: novelty, inventive step, and industrial applicability. However, there is a shortage of court experts who are capable of carrying out the high-quality study of inventions in the field of chemistry / pharmaceutics in Ukraine. Thus, the claimant should be ready to involve specialists having chemical or pharmaceutical education to assist the court expert. At the same time, even in case of discrediting of the patent, the claimants should be also ready to prove, which exactly their right or legitimate interest is infringed by the particular patent. Another question, which should be raised by the claimant simultaneously with filing the claim, is application of provisional measures. In litigations concerning patent rights protection, it is expedient to request the court not only to prohibit the generic from making amendments to the registration materials but also to block access to participation in tenders held both by the state and by international and private organizations. Otherwise, removal of such pharmaceutical from circulation may require time and resource expenditures. And termination of a public procurement agreement and cancellation of tender results require the filing of another claim, the consideration of which will also require both time and cash expenses. In the event of patent invalidation, the court may impose a preliminary injunction against making any amendments to the patent in question. Such provisional measures will fix a list of litigants and neutralize the defendants’ opportunity to transfer their rights to third parties, thereby dragging out the consideration on the merits of the dispute, or to change the judicial jurisdiction. At the same time, according to new trends in procedure, the claimant should be ready to cross-undertaking, the purpose of which is protection of the defendant against eventual damages caused by the provisional measures. performing other actions determined by the court for elimination of the defendants’ potential damages and other risks related to the security for a claim. Moreover, when filing the claim, the non-resident claimants should be ready to one more deposit, which may be demanded by the court. At present, taking into consideration the absence of practice in imposition of both the cross-undertaking and the measures to secure the claim, it is difficult to predict whether the courts will abuse the present instruments, which may become a serious obstacle for not too wealthy claimants. On the other hand, the Code of Commercial Procedure of Ukraine, as presently in effect, brings hope for compensation for the litigation costs of the successful party. It is an indisputable fact that the patent litigations are much more expensive than the litigations concerning any other intellectual property subjects. Summarizing, the trend towards increasing the number of litigations for invalidation of pharmaceutical patents should be noted. The generics formerly underwent an expensive procedure of state registration of pharmaceuticals on their own account, but now manufacturers want to be sure that their registration will not be cancelled in future on the basis of the originator’s valid patent. Thus, the patents are put at risk. At the same time, while for litigants the loss in the dispute may mean the loss of the market share, for patients their right to health and often their right to life is at stake. In this connection, keeping a balance between the human right to “cheap” pharmaceuticals and the patent system is important, since, if innovative companies would be deprived of the opportunity to protect their inventions by patents, innovative developments in the field of pharmaceutics may be in jeopardy.